Allen Park New Roof | Allen Park Roof Tear-Off | Allen Park Roof Installation | Allen Park New Roof Estimate | Allen Park Roofing EstimateMcGlinch & Sons CO.
McGlinch & Sons have been serving customers in Allen Park and all of Wayne County for nearly a century and our reputation for delivering quality roof installations and roof repairs is recognized as the best! Because we use certified and licensed experts and the best materials in the industry we have maintained an A+ rating with the BBB. When you need a new roof or an existing roof tear-off, McGlinch is here to help! Locally owned and operated, you will get the personalized customer service you desire from your roofing estimate and your roof installation. No project is too big or too small for McGlinch, contact us today! Homeowners in and near Allen Park know that when they need a dependable and honest new roof estimate, McGlinch are the specialists to call. For over 97 years our team has provided roof tear-off and roof installation services with excellent results. The middle-class suburban city of Allen Park is located in central Wayne County, Michigan and is known for its tree-lined streets, brick houses and for being the practice home and headquarters of the Detroit Lions football team. With just over 28,000 residents, Allen Park was formally recognized on the list of America’s Best Small Cities to live and work in. At McGlinch our certified roofing teams go above and beyond your expectations and will complete your new roof efficiently and in the timeframe designated. We provide a no obligation roofing estimate that will detail what your new roof project will entail and all associated costs to eliminate unwanted surprises. McGlinch & Sons are confident that you will be well satisfied with our work and materials. 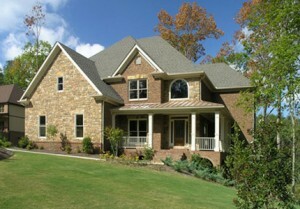 We also offer a lifetime warranty on all shingles purchased from us and a 25-year non-prorated warranty on our labor! To get a new roof estimate started, or for more information about our roofing services call (313) 278-2777 today!